BASIC II Students will focus in on topics including makeup appropriate for all skin tones, facial features, and mature skin. Students will learn corrective techniques using the principles of highlight and contour. This course is designed for those students who want to take an intensive, one-week program combining Basic Makeup I and Basic Makeup II. 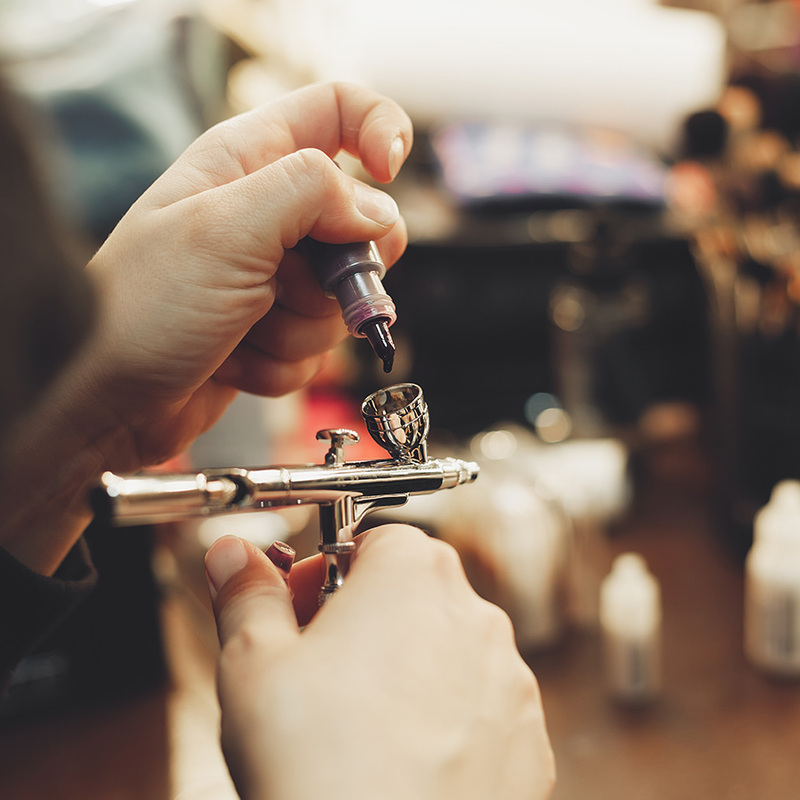 As with Basic Makeup I, the instructors will discuss and show the contents of a complete makeup artist kit. Students will learn proper hygiene and sanitation. Skin type identification, color theory, facial anatomy and light makeup applications will be taught, as well. As with Basic Makeup II, principles and methods of Basic Makeup I will be taken further in order to learn corrective makeup techniques (highlight and contour) to alter the face shape as well as the eyes, lips and cheeks. Additionally students will have the opportunity to apply makeup to models of varying skin tones, ethnicities, ages and genders. JORDAN LIBERTY WORKSHOP - REGISTER NOW! SURPRISE! ROSHAR will be WITH Make Up First® AT The Makeup Show!